A way to share the gift God gave me to give. 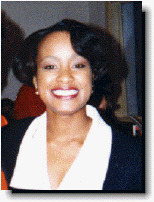 IlLonka Javette Jenkins was born in Atlanta, Georgia and raised in LaGrange, Georgia, 72 (Seventy-two) miles south of Atlanta. Javette has two siblings, artistic brothers and a beautiful mother who cheers her on always. She is an attorney who lives in Raleigh, North Carolina. Hers is a heart filled with passion and love which she shares joyfully. Brown sugar, mocha, peanut butter creme? The man of every sistahs dream. One on whom others can depend. With a fresh and challenging start. Has no problem falling on his knees. And knows how to give them too. As God smiled from above. Tell us how much you like Javette Jenkins.